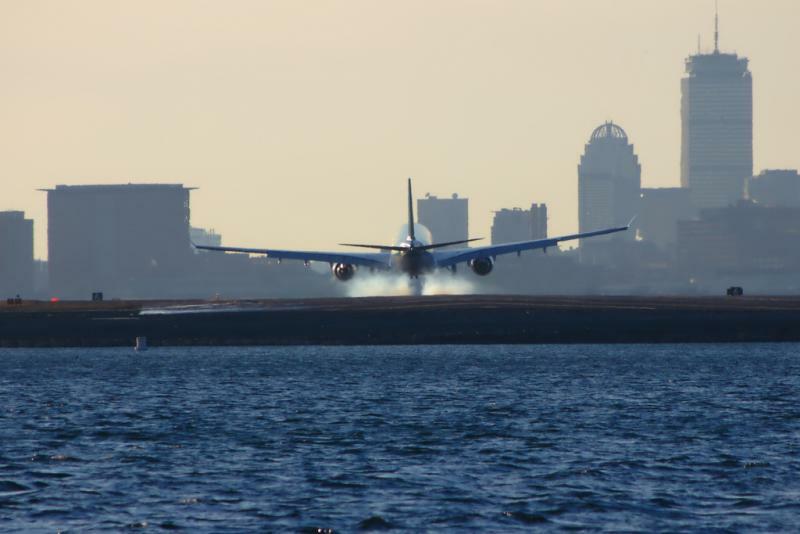 A plane touches down at Logan International Airport in Boston. Officials released flight control video yesterday showing how an Austin flight was involved in a near miss on the runway over Thanksgiving. This happened on November 24, but news organizations are just getting air traffic control video showing how a flight from Austin narrowly missed disaster at Boston Logan International Airport. JetBlue flight 1264 arrived safely with 91 passengers on board, but the pilot turned right instead of left while taxiing to the gate, reports WCVB Boston. In a recording of the incident, the air traffic controller can be heard saying "JetBlue hold, JetBlue 1264 hold right there. JetBlue 1264, hold, hold." Ground radar images show the plane stopping just short of the runway where the other plane was speeding to take off. Here's the TV package from Boston's Fox affiliate.